Torri 2020 is a Sustainable Energy Action Plan (SEAP) for Torri di Quartesolo, a municipality of 12.000 inhabitants located in the Province of Vicenza (Italy). It provides the opportunity of an innovative new way of zoning, integrating energy planning in the overall land use and involving citizens. Through the introduction of “Homogeneous Energy Zone” it made be possible to entirely optimize the development of renewable sources and achieve an overall COemission reduction target of 26%. In every single building, the potential production for each type of renewable resource (geothermal, solar, wind, biomass) is analyzed while maximizing the priorities for encouraging saving thermal and electrical household. In this way, the SEAP becomes an effective tool for raising awareness, entering into people's homes by providing an analysis that allows to direct them towards choices and investments aware in key energy. 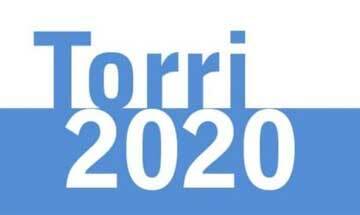 With this approach, it has been possible to carry out an analysis of the economic and employment potential that “Torri 2020” can generate itself. It could fit any kind of municipality. It aims to develop a new concept of green growth consisting in a decrease in consumption of fossil fuels and natural resources. On the contrary it aims to stimulate energy efficiency and RES use. • a Sustainable Energy Action Plan (SEAP). BEI is a prerequisite to SEAP elaboration, as it will provide knowledge of the nature of the entities emitting CO2 on the municipality’s territory, and will thus help select the appropriate actions. Inventories conducted in later years will allow determining if the actions provide sufficient CO2 reductions and if further actions are necessary.